Open Closed Signs and More! 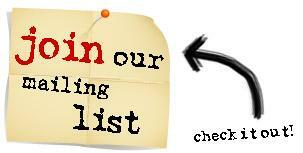 Join our Email List for shout-outs for New Bows, Clips, Holders and a LOT more! FREE SHIPPING TOO!! FREE Ship code mailed to you when you join! Do you like this product? Share it with a friend - click here!